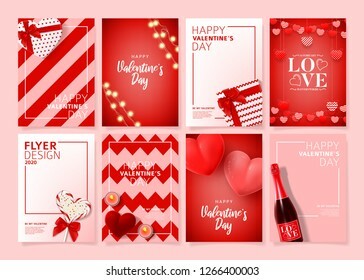 349 place | Vector illustration in rank M-rank: Set of Happy Valentine's Day posters. Vector illustration with realistic Valentine's Day attributes and symbols. Brochures design for promo flyers or covers in A4 format size.